This wedding march is a lovely folk tune that has been played at weddings in Norway for generations. It originates in Lødingen in Nordland, but is well known all over the country. You can listen to a sound clip here! 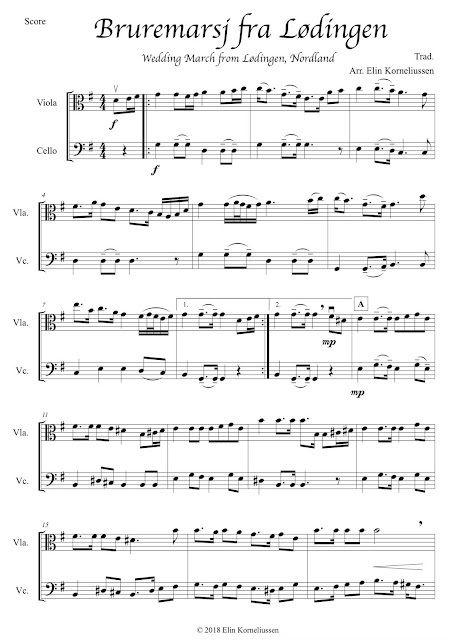 Download this duet together with two other traditional Norwegian wedding tunes at Sheet Music Plus. Also available for violin and viola or violin and cello! 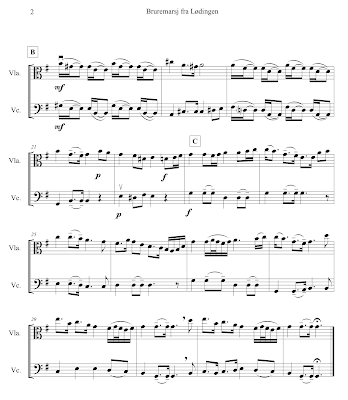 I started this blog in 2012 because I wanted to share the music I have written for my pupils with other string teachers and children/youth orchestra conductors. 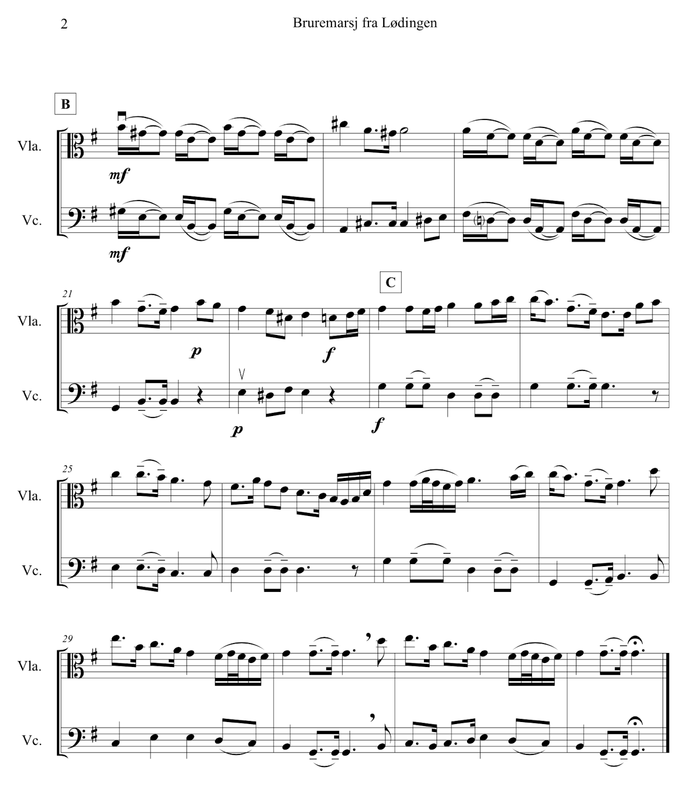 The pieces available on the site are either my arrangements of music in the public domain, or my own compositions. They were mostly written for small orchestras, but are equally suitable for chamber groups. The Junior pieces are intended for the age group 6–11, and the Youth pieces for pupils of 12 and older. Feel free to use the music for any non-commercial purpose. I would appreciate it if you cited this site as your source, and of course I would love to hear your thoughts on and your experiences with the pieces! 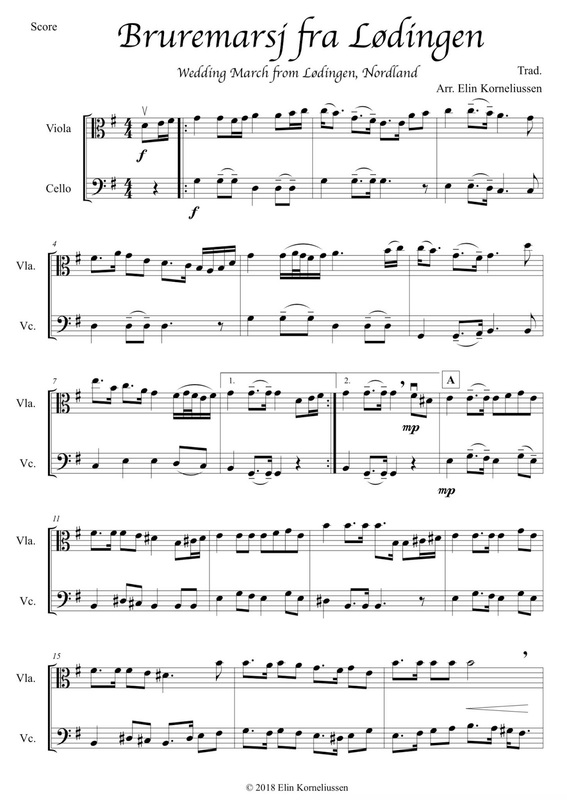 Also - if you would like to support this blog, please consider using the links on this website to shop for sheet music. If you do, I will get a small percentage of whatever you spend on Sheet Music Plus.